Wilco | Will You Miss Me When I'm Gone? I’ve seen Wilco more than just about any other band. I’m not sure why, it just happened. It seems I can’t get enough of them. Thankfully, every tour seems fresh, because this band is tighter and more spectacular every time it blasts out of the gate. 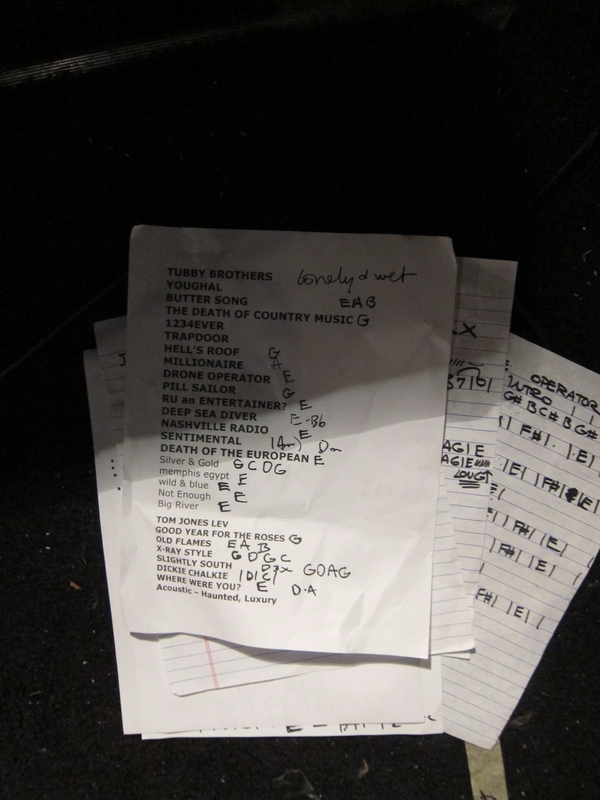 Even so, Wilco’s never a play-the-album band, so there were plenty of favorites from the back catalogue in the show, too. Photos and setlist on the jump. 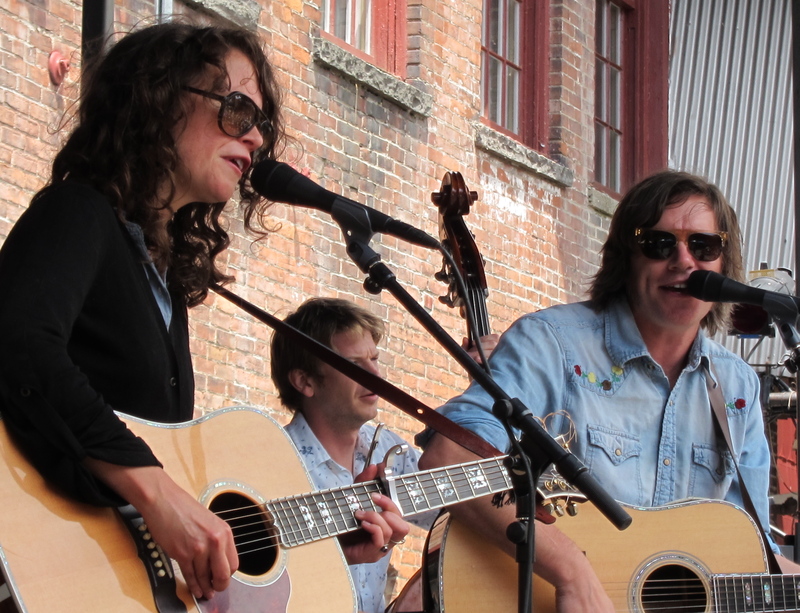 Sarah Lee Guthrie and Johnny Irion are making a Hudson Valley appearance on Saturday, Aug. 3 at the all-free Wassaic Festival in Dutchess County, which starts today and runs through Sunday (Aug. 2-4). There’s something nice about hitting the namesake town in the early stages of touring their latest album, the seriously charming Wassaic Way. The husband-and-wife-duo (she’s daughter of Arlo Guthrie and granddaughter of Woody Guthrie) are really proud of the self-released album (which is to be released Aug. 6) they made with Wilco’s Jeff Tweedy and Pat Sansone. Stay tuned for a full interview with the creative couple. But for now, I just wanted to alert you to their gig coming Saturday. I’ve never been to the Wassaic Project, a center that aims to create context for art making and strengthening local community by increasing social and cultural capital through inspiration, promotion and creation of contemporary visual and performing art. It’s at the very last stop on Metro-North Railroad’s Harlem Line. This is the sixth year for the festival, a free, three-day event featuring art, music, dance, and community featuring over 100 artists, 25 bands, film screenings, dance performances and more. Sarah Lee Guthrie and Johnny Irion perform at 6 p.m. Saturday, Aug 3., on the Luther Barn Stage. The Wassaic Festival began today (Aug. 2) with various art events. Music and dance start around 6 p.m. This wrap up Sunday with a community breakfast, kids events and more music. The Wassaic Project is at The Maxon Mills, 37 Furnace Bank Road , Wassaic, NY 12592. It’s in walking distance of the Wassaic Metro-North station with connections from Grand Central Terminal. ADMISSION IS FREE, but tickets are required for some events. Check the full schedule here. Faye Hunter via Fidelitorium Recordings’ Facebook page. 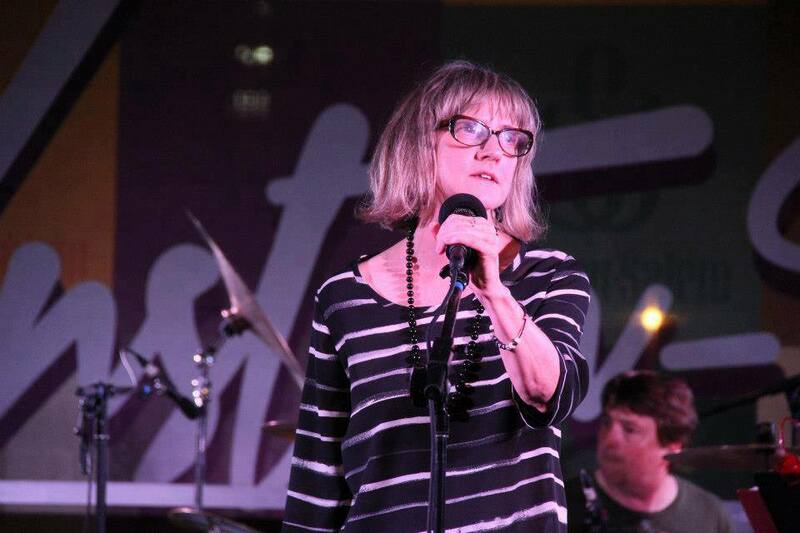 Faye Hunter, a North Carolina-based musician best known for her work as the bass player 1980’s jangle-pop band Let’s Active with Mitch Easter and Sara Romweber, died Saturday. The 59-year-old died of apparent suicide, according to a blog post by David Menconi on the website of The News & Observer in Raleigh, N.C.
Those of us who grew up with Faye also knew her as a sweet, droll and artistic friend who unintentionally served as something of a den mother and big sister to many of the younger musicians in town, myself included. … It is hard to imagine a world without Faye Hunter. We all wish we could have done more to help her, but we couldn’t. Click here for the full text of Holsapple’s tribute. 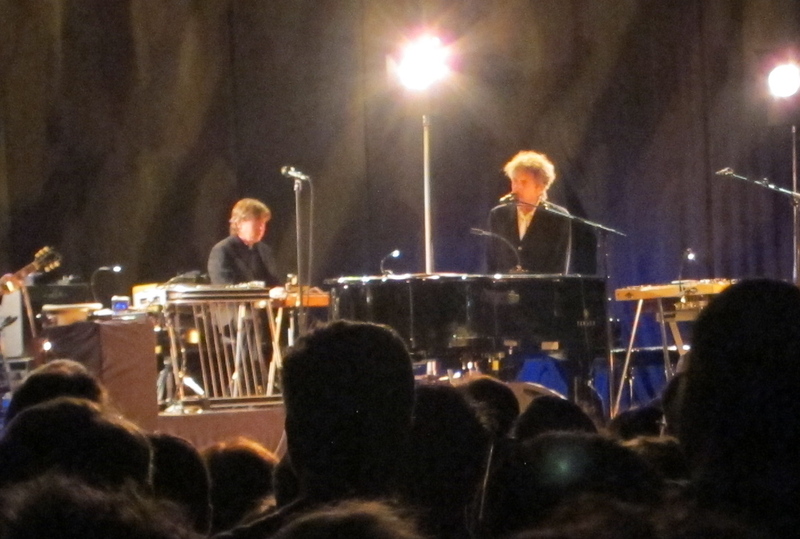 Americanarama Festival of Music: Bob Dylan, Wilco and My Morning Jacket in Bridgeport, Conn. 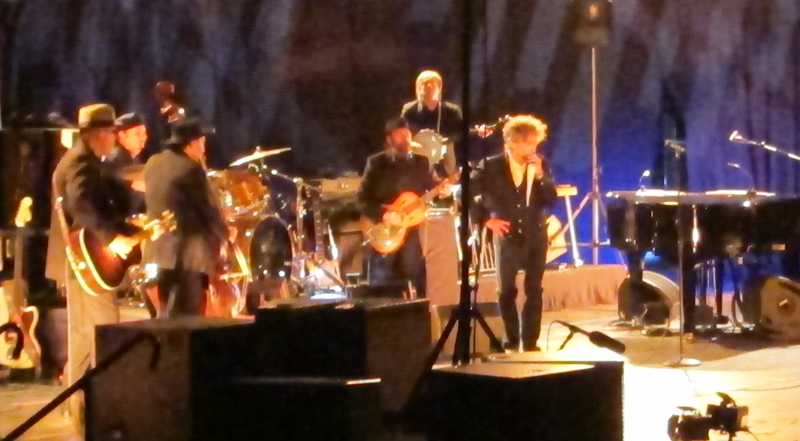 When Bob Dylan hit the stage of the Webster Bank Arena on Friday night, July 19, I reached a major milestone. It was my first time seeing the legend perform live. Yes, you might think that given the underlying theme of this blog, I would have seen him before — probably many times. Sure, I treasure his music. I have many of his albums. A friend and neighbor of mine managed him once, way back before Albert Grossman hooked up with him. But Dylan was playing arenas by the time I learned to care about him. And I just don’t like arena shows, the distance, the impersonality, the commercialism. 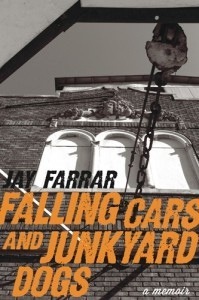 Uncle Tupelo co-founder Jay Farrar‘s easy-reading memoir, Falling Cars and Junkyard Dogs, came out in March, but it landed rather quietly — at least in my world. It was only a few days ago that I really became aware of the collection of vignettes by the ultra-serious Farrar. Some of the reviews have been unkind, but that didn’t stop me from buying it and devouring it in a matter of a few hours. Farrar made great music in Uncle Tupelo, and has continued on a reverential path since the band’s acrimonious 1994 breakup. But that’s not the subject of this collection of short passages from just about every part of his life but the Uncle Tupelo part. 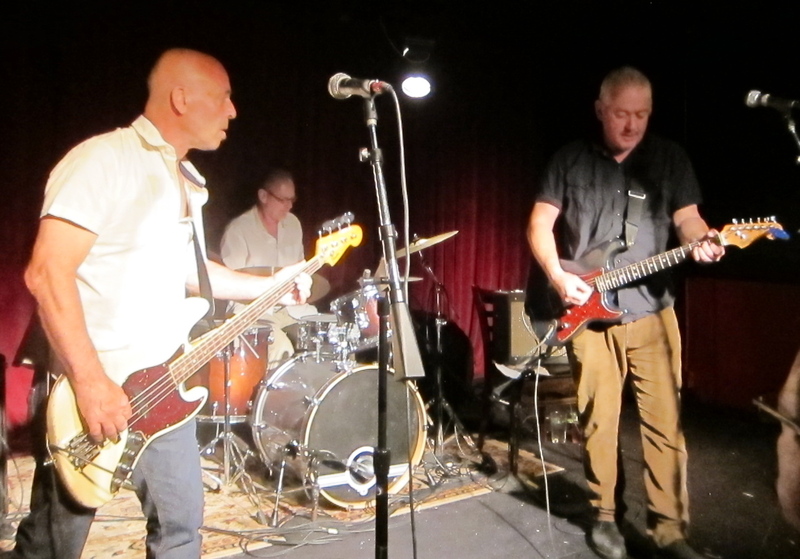 Jon Langford looked truly puzzled on the stage of Maxwell’s. 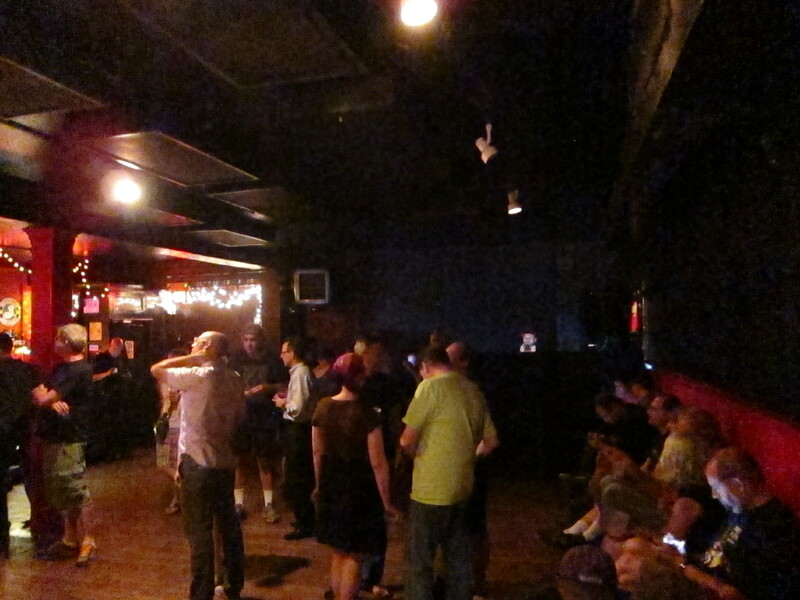 The Welsh-born rocker has played at the Hoboken, N.J., club many times — “37 1/2… the half because tonight’s not done yet” — over the years in many bands, from the Mekons to the Three Johns. “Did the Waco Brothers ever play here,” he asked, during a portion of the set where his cranked out several of that band’s best-loved tunes. “Three times!” came the cry from the crowd.